chapters on data archiving and business continuity. 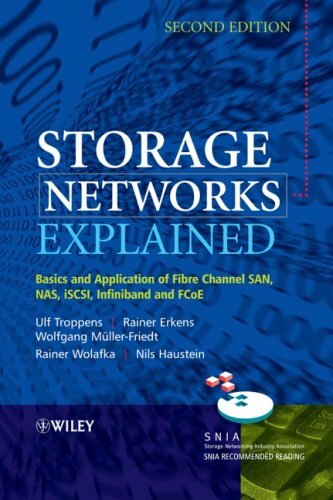 Covers fibre channel SAN (Storage Area Networks), Network Attached Storage, iSCSI (network protocol standard), DAFS (Direct Access File System) and InfiniBand technologies. Explains applications such as data mirroring, network backup, monitoring of storage networks, management of removable media and many more. Written by very experienced professionals who tailored the book specifically to meet customer needs.